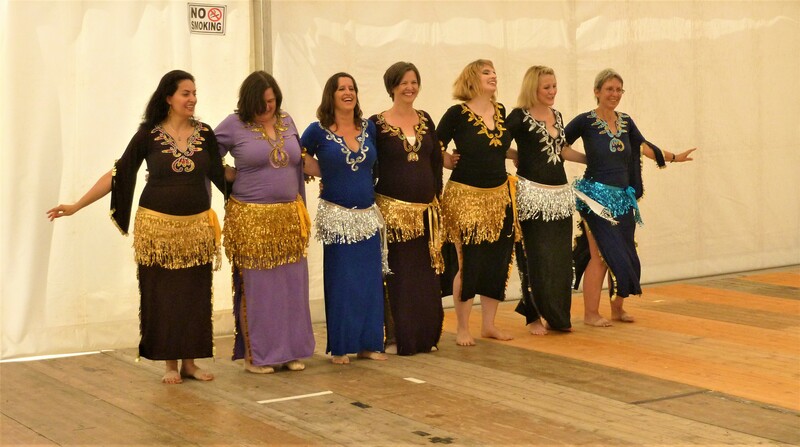 Welcome to the Cambridge School of Belly Dance! Are you looking for a fun way to exercise or make friends? Maybe you just fancy trying something new! Belly dance is a great way to achieve all of the above and much more, so why not give it a try and shimmy your way to happiness! Click here for more info about our classes and to book your place! Want to try a class before signing up? Join us on Monday 29th April for our beginners taster session! Belly dance (also known as Raqs Sharqi, or Oriental Dance) originates in the Middle East and involves performing isolated movements of the hips, abdomen and upper body making for a gentle yet effective way to strengthen posture and improve muscle tone as well as to provide a boost in self esteem and body image – it is perfect for women of all ages, shapes, sizes and fitness levels and bare tummies are not essential! Classes take place in Cambridge during school term time and are taught by experienced instructor and performer, Louise whose warm and friendly approach provides a relaxed and nurturing environment for learning this beautiful and empowering dance form.